Promotional image via Warner Bros. The Harry Potter universe was nothing to me until 2015, when I finally watched the movies. Quickly I fell headfirst into a short-lived wizard obsession. Sure, I was a little late in the game, but it was an enjoyable time nonetheless. Walking a bit late into the theatre of Fantastic Beasts: The Crimes of Grindelwald was an experience in and of itself. The recliners were all occupied, and the 3D paired with Dolby Atmos and AVX sound and graphics were incredible. Opening night is always an emotional event to be a part of, especially for such a long-running community as that of Harry Potter. Impressively, one aspect noticeable throughout the movie is the consistent use of uncommon but effective camera angles. With the added effect of the theatre itself, I was completely enraptured by each scene and felt as though I was really in the action with the characters. The visuals are new and enticing. There are points where we see animated beasts ravaging a city, but there are also scenic shots of the city drowned by evening fog and wisps of streetlight reflections off puddles. The sounds amplify the movie a lot as they help characterize the fantastic beasts of Newt Scamander (Eddie Redmayne). Paired with D-Box seats, you feel as though you, yourself, are fighting against dark wizard Gellert Grindelwald (Johnny Depp). Physically, the movie feels immersive. In terms of the plot, I couldn’t tell you exactly what happens. The main plot is introduced by young Albus Dumbledore (Jude Law) directing Newt to go find a young wizard named Credence (Ezra Miller) before Grindelwald does. With that in mind, the movie goes off into multiple different subplots, all with many new characters and difficult-to-follow stories. Another disappointing element to having so many characters is that we lose screen time of our beloved main character Newt. Newt, as always, is a bubbly, erratic, strange wizard trying to do what he feels is right, regardless of what he is told to do by those around him. The best moments for all Harry Potter fans are the scenes of some characters revisiting Hogwarts castle. The iconic Harry Potter theme plays and we watch Leta Lestrange (Zoë Kravitz) wander the school. We see shots of the Great Hall, Slytherin common room, and most enchantingly, the letters “L + N” for Leta and Newt, carved into a professor’s podium in the room which will one day be Professor Snape’s. The messages of the movie are incoherent, as is the movie in its entirety due to the fragmented stories being pieced together. 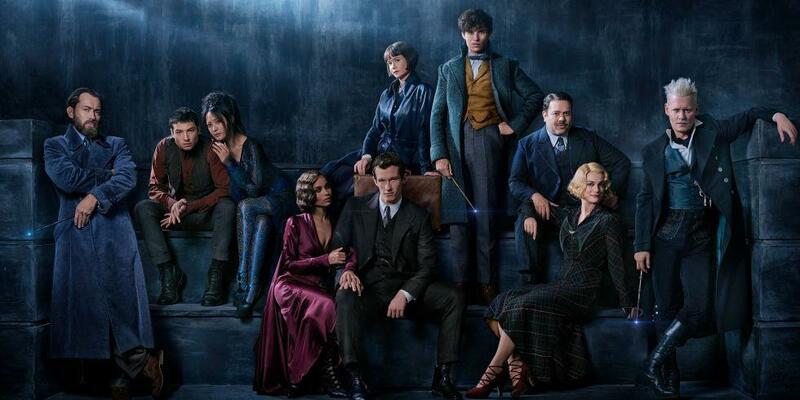 Overall, it seems as though The Crimes of Grindelwald was just an introduction to many stories that will be better explained, developed, and possibly resolved in the next Fantastic Beasts movie. If you’re interested in watching The Crimes of Grindelwald, I’d highly suggest re-watching the first movie, Fantastic Beasts and Where to Find Them (or seeing it for the first time if you haven’t), because the second film relies heavily on the foundation laid in the previous film but doesn’t recapitulate it.